Content marketing is an important project for any kind of business. Be it an already established brand, or a start-up who is just willing to make a name for itself, the possibilities provided by content marketing is too immense. I don’t want you to miss out on that, so we are going to do some learning on the topic. Today, how about we look at some of the golden rules of content marketing to get you started? To be candid, you can get onto the internet and read hundreds of rules on this same subject. That is not to say they don’t all work, and it is surely not to say they all do. However, I have taken an example from some of the most successful brands in the world, studied their content marketing strategies, and come up with these three golden rules of content marketing for you. Excited, are we? This is content we are talking about, so why won’t you be creative? Would you take your time to read through something if it wasn’t a work of art? So why make your audience pass through such an otherwise, harrowing experience? The case study for this point is the Coca-Cola brand. This drink-manufacturing company have been able to stay on top of their game not just because of their amazing product, but because they know how to be creative with their campaigns. If you don’t agree with me, look at how much traffic they drove to the product with their simple #ShareACoke campaign. 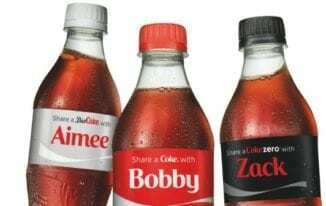 Count the number of people in your area who got the drink personalised for their birthdays, weddings and other ceremonies, and see if the 2% spike in sales the company recorded in that period was a fluke. No one needs you to give them a barrage of words before they know what you are talking about. Overdoing things when doing content marketing is commonplace, and I don’t know why brands are not seeing that it simply doesn’t work. The simpler it is, the better your audience can grab it and retain the information. One would think that Apple, with the vast resources it has acquired, would launch a full-blown campaign for the Mac against PCs. Instead, they went for the simple explainer video which showed a man (in suit) against a younger man (in ‘fly’ clothes). Needless to say, anyone who saw that ad would agree that Macs are better than PCs. You think having something to sell to the public is being useful enough? I think not. In fact, I think it is useful for you because you want to make the sales. If you are to properly embrace all the gifts content marketing comes bearing, you need to be useful for others. Create a product that beats others in the market, offers better quality to the customers and gives them a reason to pick it. Make your content do some of the work, leaving your product to bring the prize home. 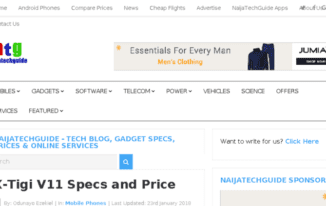 That is what the NaijaTechGuide brand has done. There are tech niches all around, but who brings a twist to it? The brand has focused its business on not just making affiliate sales, but providing real value to the customers. Not just that, but with a dedicated news outlet, everyone is kept in the loop. Creating a quality product/ service, see? No matter how much more rules there are in content marketing, you will agree that they all boil down to the three provided above. Little wonder they are considered our golden rules of content marketing, and they are surely going to get you by. Previous articleWhat Are The Qualities Of A Good Software Developer?